The earliest history of Armenia is full of mysteries and sounds more like a legend than history proper. However, basing on ancient Assyrian and Greek chronicles as well as on the Holy Bible and the results of archeological research, we can believe that the land later called “Armenia” was invaded by the Hittites (ca. 2100 B.C. ), Celts (ca. 1200 B.C. ), Medes and Persians (ca. 900 B.C.) and Cimmerians (714 B.C.). We also know that in the 9th century B.C. 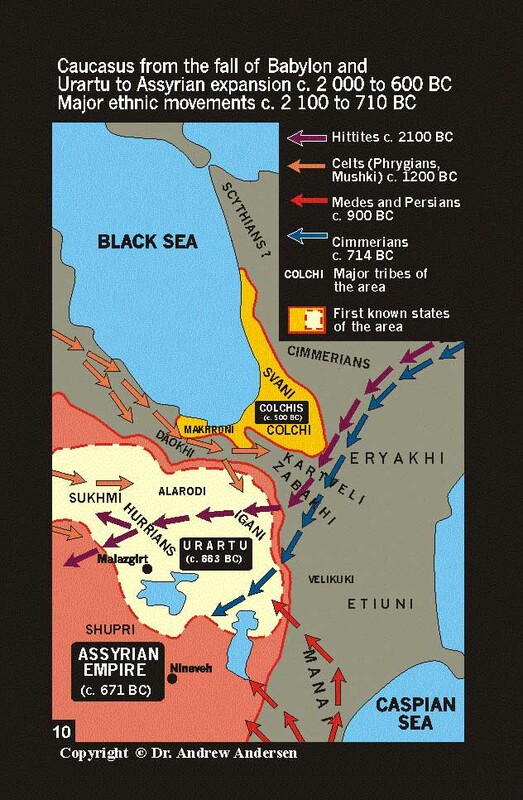 most of the territory of the future Armenia was occupied by the kingdom of Urartu which, in its turn was later absorbed by the Assyrian empire. Between 558 and 334 B.C. 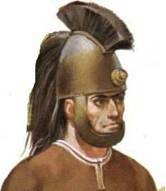 Armenia was part of ancient Persian empire and by 323 B.C. was conquered by Alexander the Great. 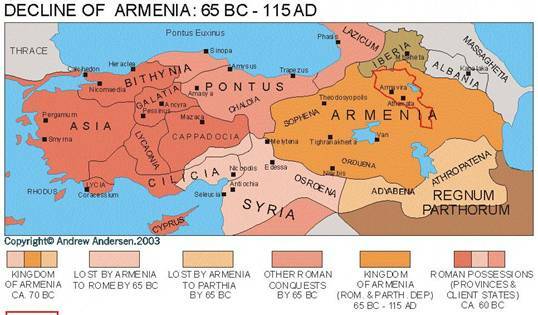 In early 2nd century B.C., first known Armenian kingdom was born to become an arena of long and devastating conflicts between major local powers Rome and Parthia. 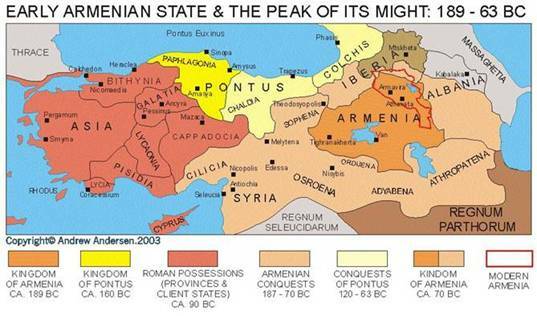 Ancient Armenian kingdom came to the peak of its might between 189 and 63 B.C. during the reign of Tighran the Great who became an ally of Mithridate VI Eupator of Pontus in his fight against Rome. Between 187 and 70 B.C., Armenian state expanded greatly at the expense of Rome, Parthia, Iberia and Albania stretching from South Caspian seashore to the Mediterranean coast of Syria. However, the Greater Armenian empire of Tighran did not last long. As a result of successful Roman campaigns of Pompeus from the west and Parthian invasion from the south, Armenia lost some of her conquests by 65 B.C. and in fact became Roman-Parthian dependency. The following 600 years of Armenian history were marked by long wars against Rome and Parthia (Iran) as well as further territorial decline. NB: In the year 301 Armenian King Thiradates III adopted Christianity as the state religion thus making Armenia the first Christian nation of the world.